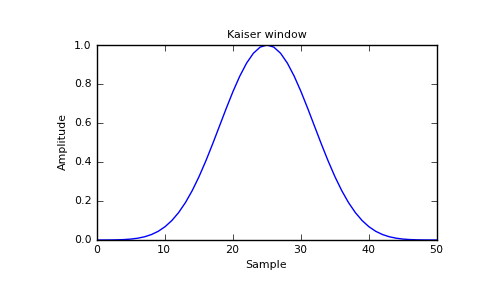 The window, normalized to one (the value one appears only if the number of samples is odd). [R33] J. F. Kaiser, “Digital Filters” - Ch 7 in “Systems analysis by digital computer”, Editors: F.F. Kuo and J.F. 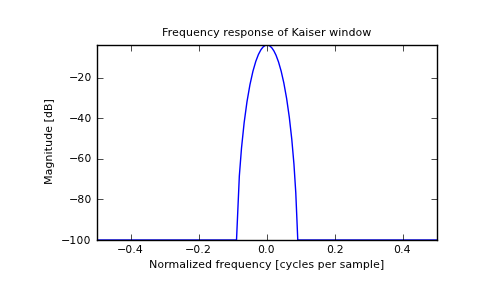 Kaiser, p 218-285. John Wiley and Sons, New York, (1966). [R34] E.R. Kanasewich, “Time Sequence Analysis in Geophysics”, The University of Alberta Press, 1975, pp. 177-178.